Mars is the warrior planet. It represents the urge to push into fresh territory by initiating action. It also describes the methods that we use to get things done. 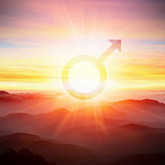 Mars' position in a birth chart shows the means by which we reach out to touch others and to impact our world. But while Mars' location in an individual's birth chart is key, we're also collectively influenced by its current status. Assertive Mars is the epitome of action, yet it's been slowed down since January when it turned retrograde. This reversal period began on Jan. 23 and finally ended on April 13, yet Mars won't be back to full speed until early June. This may slow progress and requires a good deal of patience, but at least we can start gaining traction with new activities and projects now. Sharpening skills is a major key to success with this transit. Mars is in methodical Virgo where precision is a priority. Evaluate your work to see how to become more efficient. Developing your abilities with additional practice and training is a worthwhile investment of time and energy. Altering methods and adjusting techniques may slow progress at first, yet it's better than sticking to systems where your abilities are already maxed out. One of the challenges of analytical Virgo, though, is a tendency to be hypercritical. The detailed nature of this sign tends to expose flaws that can undermine confidence. Whether this awareness comes from oneself or others, denying the facts could be costly. No one should accept abuse or undermine her or himself with debasing comments and thoughts, but an increasing demand to be better at what you do could be frustrating. Perfectionism is a Virgoan trait that moves some people toward self-improvement yet kills the morale of others. Constructive criticism is educational and beneficial while putdowns are worse than useless. 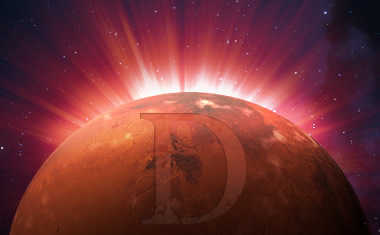 Mars now moving direct in Virgo is a signal to sharpen our tools. This includes how we treat our bodies, because maximum efficiency is hard to come by when we're not healthy. Proper diet and exercise, though, is not really beneficial when it takes the fun out of life. We don't have to eliminate our little indulgences as long as they are moderate. If we feel like we're punishing ourselves by banning ice cream from our lives or by having to workout seven days a week, discipline will break down and we'll revert to our old ways. But when small but steady steps are taken to raise our skills and improve our lifestyles, it's easier to stay on track. Many of us have been spinning our wheels and not making progress during Mars' frustrating retrograde period. Hurrying to catch up will not hasten progress, nor will picking on ourselves or blaming others to enhance our lives. A practical, productive and persistent commitment to improvement, though, will eventually turn small steps of progress into major advances that benefit us all.